The Tomorrowland Super Bowl trailer merely touched the surface that is the mind-blowing film from Disney that lands this summer. Now that the full length Tomorrowland trailer has arrived, the Brad Bird (The Incredibles) directed sci-fi family adventure has joined some serious flicks in the most anticipated department for summer 2015. Bird is not just a wizard at bringing animation to life like he did with The Incredibles, but his work on Mission Impossible: Ghost Protocol is largely credited with why the Tom Cruise film is the highest grossing of the series. 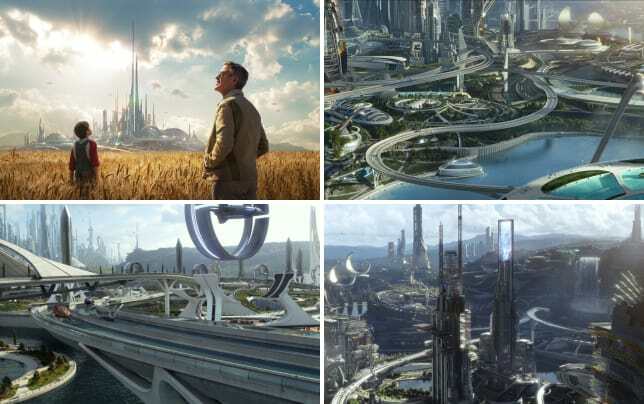 Tomorrowland imagines a world outside of our world where the best and brightest have gone to try their best to change (and save) the future. George Clooney stars as a former child prodigy who has become disillusioned with the state of the world. That is until Britt Robertson shows up in possession of a magical pin that when held gives glimpse into that Tomorrowland world. The two are fated to join forces and together, maybe, just maybe, they can save mankind from the most perilous of fates. 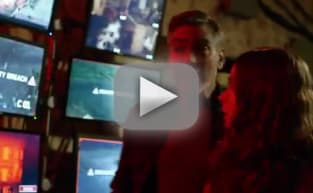 Tomorrowland is from Lost writer and co-creator Damon Lindelof and Bird and also stars Hugh Laurie (who we finally get to see in the above trailer! ), Judy Greer (who will also be in another highly anticipated summer movie, Jurassic World) and Kathryn Hahn. Look for the latest Disney live action magic on May 22.